World Red Cross and Red Crescent Day is an annual celebration of the principles of the International Red Cross and Red Crescent Movement. 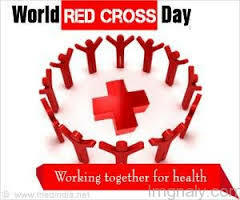 World Red Cross Red Crescent Day is celebrated on 8 May each year. This date is the anniversary of the birth of Henry Dunant (born 8 May 1828), the founder of International Committee of the Red Cross (ICRC) and the recipient of the first Nobel Peace Prize.